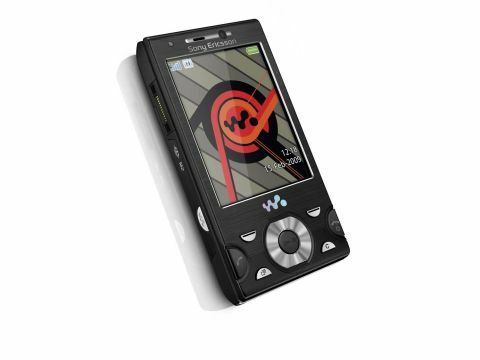 The Sony Ericsson W995 is the latest phone to carry the famous Walkman name. Sony Ericsson's music-oriented Walkman series and photography-centred Cybershot series have been drawing closer for a while now, as the camera phone's music player has improved and the music player's camera has got steadily better. So if this is to be one of the last Walkman phones to appear, it's just as well then that it's the best one yet, with an 8.1 megapixel camera, an improved media syncing system (which few could deny it needed), HSDPA 3G, Wi-Fi and A-GPS, all wrapped up in a neat, if slightly bulky and button-heavy slider package. The Sony Ericsson W995 is a slider, so you'd expect it to be on the chunky side. That said, they've kept it reasonably slim by keeping the top part to a svelte 4mm, delivering the vital statistics of 97x49x15mm and 113g. So it's still a fair old handful, but not bad at all considering what's inside. But before we get to that, we have a wealth of buttons to get through, namely the six semicircles surrounded the circular D-pad on the front (call start and stop, plus two soft keys, cancel and the shortcuts menu), and the music controls on the right side, plus a volume/zoom rocker and camera shutter button. On the left side there's Sony Ericsson's Fast Port power socket, a dedicated Walkman button and the Memory Stick Micro slot, though it's hidden under the back cover. At the top there's a 3.5mm headphone jack (at last!) while on the back is the 8.1 megapixel lens (wot, no cover? For shame…), LED flash and a small metal flip stand so you can set it somewhere handy to watch video. It's right at the end of the phone though and ours kept falling over until we realised it worked best with the slider open.